Carref the reference guide to car modification. Tuning the Peugeot 207 and best 207 performance parts. THE car modification reference guide! At Carref - we aim to be the ultimate car tuning reference guide! We are serious about performance and are real car enthusiasts. We are truly unbiased in our modification advice. Join the friendly car forums at TorqueCars to get involved in the community. TorqueCars are home to the friendliest international car owners forum for all makes and models especially high performance cars. Join our car forums to get involved in the community. We are also the ultimate modified car guide on improving your car. 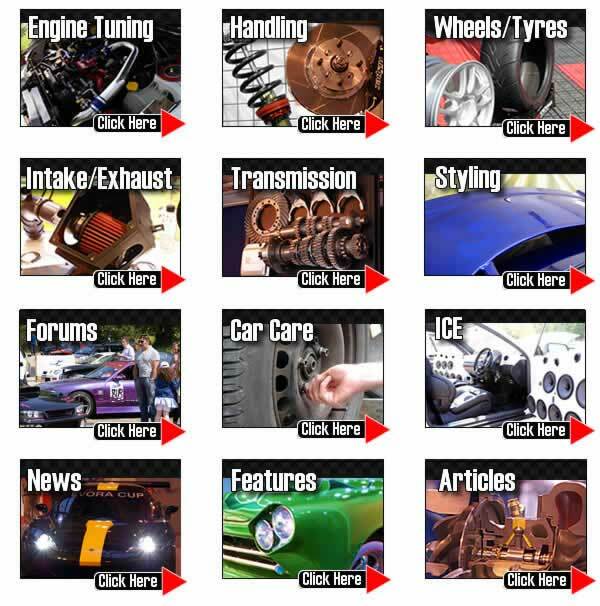 Find articles dedicated to cutting edge car styling tips, performance cars, car tuning, modified cars news & features with galleries and car specific projects along with updates on the very latest car tuning trends. The modified car tuning and styling articles are frequently updated and amended as new modifications become available so check back frequently. We take an in depth look at the simplest car tuning techniques and some common pitfalls and feature the latest cars, car styling trends and car news. We see so many people waste a small fortune on thier car only to end up with an undrivable shed. Follow our tips to avoid the common mistakes and pitfalls. Not all parts are suitable and many, as we have discovered, will actually reduce your cars performance or drivability. Modifying cars and tuning them. Bear in mind that a motorsport car is practically rebuilt before each race. It is serviced and regularly inspected by a specialist team of engineers. Our cars however are used and abused on a daily basis, regular rebuilts are not economical or practical so there has to be a compromise made. In this guide we aim to provide a best practice guide to modifying cars and highlight the best and most cost effective mods for your car.